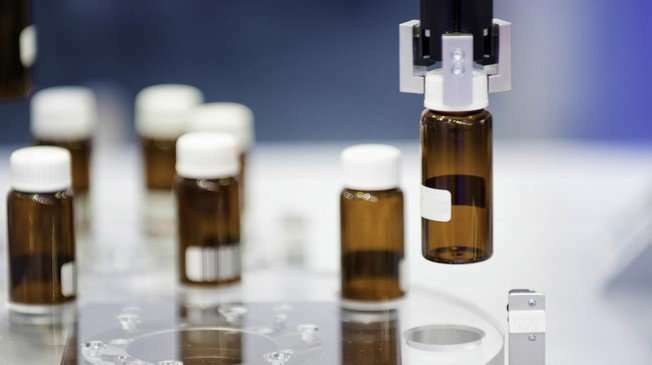 "We are thrilled that the EMA endorses the soundness of our new therapy against this devastating rare disease," says Bernard Schneider, the EPFL scientist who leads the development of a new drug aimed at amyotrophic lateral sclerosis (ALS). "We are highly motivated to bring our patented approach to the clinic and address this unmet patient need. We are grateful to the Swiss ALS Foundation and Catalyze4Life for helping us on this path." Amyotrophic lateral sclerosis (ALS), often referred to as "Lou Gehrig's disease", is a rare neurodegenerative disorder that causes progressive muscle wasting and weakness, leading to death within 3-5 years. Although its exact causes are still unclear, we know that the disease involves a complex array of factors that affect different molecular pathways along the motor neural axis (brain-spinal cord-muscles). Mutations in the gene for superoxide dismutase 1 account for 20% of genetically inherited ("familial") forms of ALS. So far scientists have identified over 160 such mutations that turn the enzyme into a toxic molecule whose activity causes the degeneration of motoneurons, the cells that transmit muscle-moving impulses from the spinal cord to the muscles. The Orphan Drug Designation was supported by the Swiss ALS Foundation and the Remedys Foundation. It was organized by the Catalyze4Life program, the Innovation Initiative by EPFL's School of Life Sciences, together with the EPFL's Technology Transfer Office. "It is challenging to bridge the funding and development gap for potential therapies at early stage before projects enter clinical development," says Professor Bart Deplancke, who chairs the Scientific Committee of Catalyze4Life. "Catalyze4Life has been instrumental to configure a solid development ecosystem for this project by bringing together the right patients groups, clinicians and development experts. This is an example of the projects we are currently supporting to fulfill the society's great responsibility to serve the need of patients. We are currently looking for partners to join us in this effort."